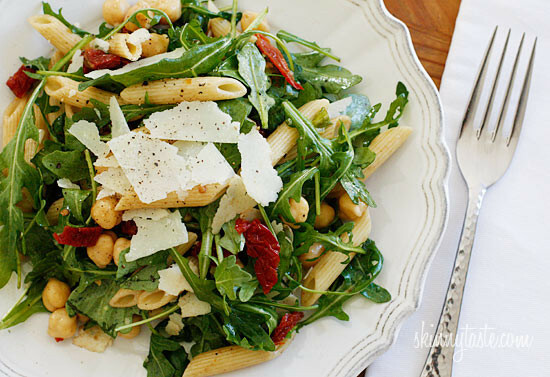 Peppery arugula tossed with nutty chick peas, penne pasta, sun dried tomatoes, shaved parmesan and balsamic vinegar make a simple yet delicious main dish salad – perfect for lunch or dinner. Portions are large, loaded with fiber and very satisfying. 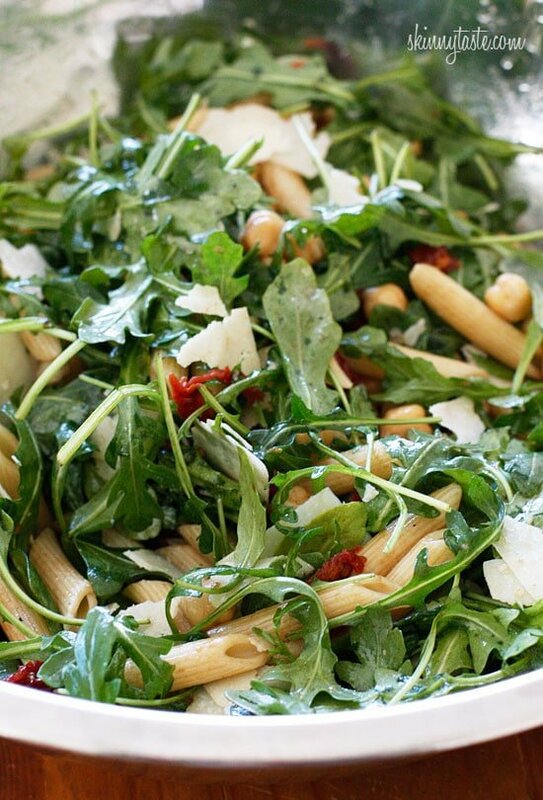 A few tips to make this simple salad fantastic – buy baby arugula, it has a milder peppery flavor. 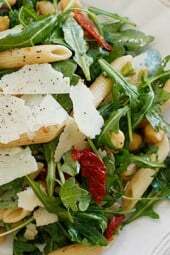 Use extra virgin olive oil, and a really good aged balsamic vinegar and most importantly use a premium imported parmesan such as Parmigiano Reggiano for optimum results. If you can’t find it in your area or if it’s out of your budget, Locatelli Pecorino Romano is another great option. Boil pasta in salted water according to package directions for al dente. Drain and run under cold water to stop the cooking. 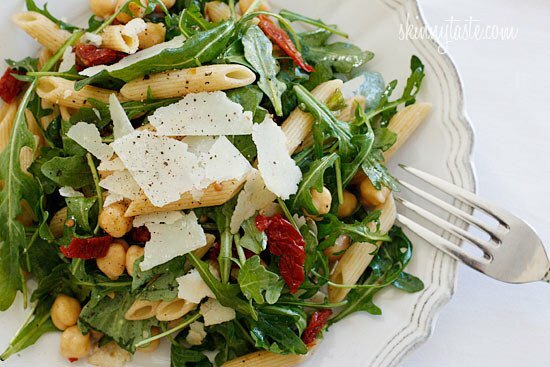 Toss the pasta with baby arugula, sun dried tomatoes, chick peas, oil, vinegar, half of the cheese, salt and fresh cracked pepper to taste.